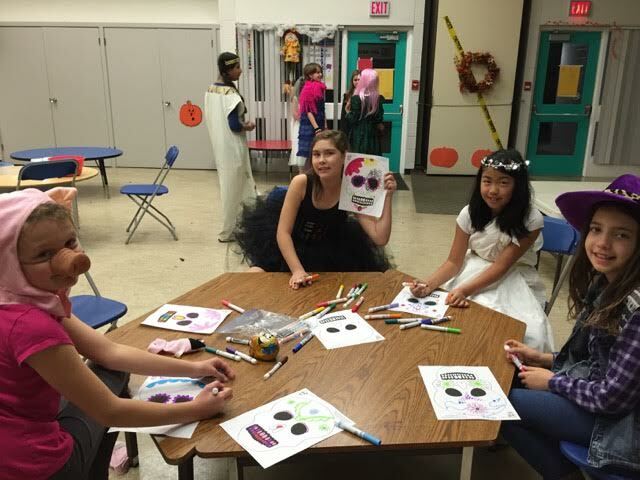 This week, the girls in the 22nd Burnaby Mountain Guides had a Halloween party! The girls took a break from their regular Girl Guide uniforms and came in costume because of the special occasion. 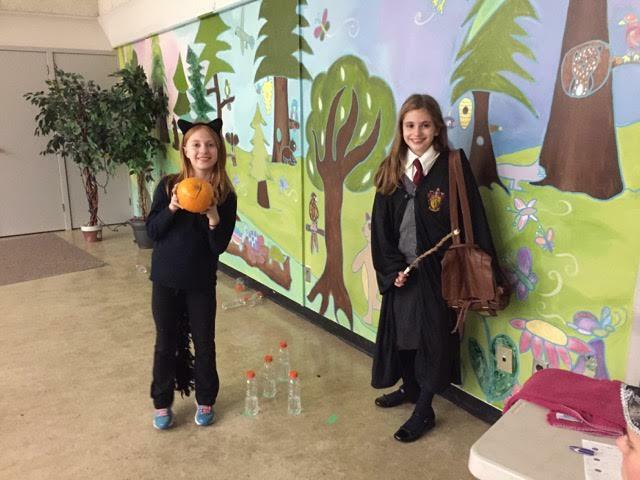 Fun included many pumpkin and Halloween themed activities. Crafts are a favourite activity of these girls. At the party they coloured Día de Muertos masks, and also did a spooky pumpkin seed tree craft. And it wouldn’t be a party without games and treats. They rounded out the evening with pumpkin bowling and decorating a pumpkin-shaped rice krispie treat! 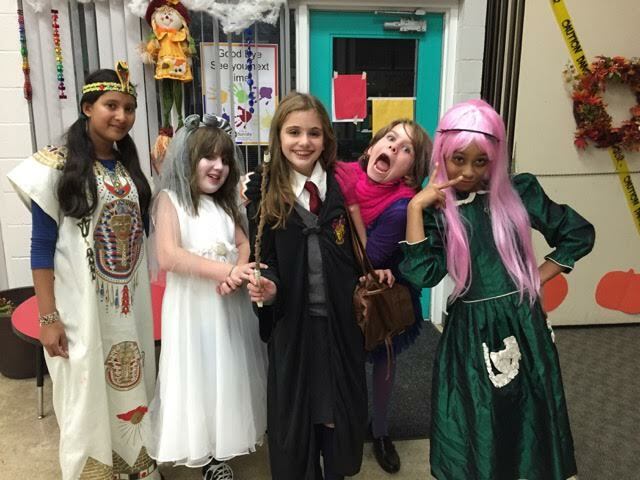 Many units are celebrating with Halloween parties this week. 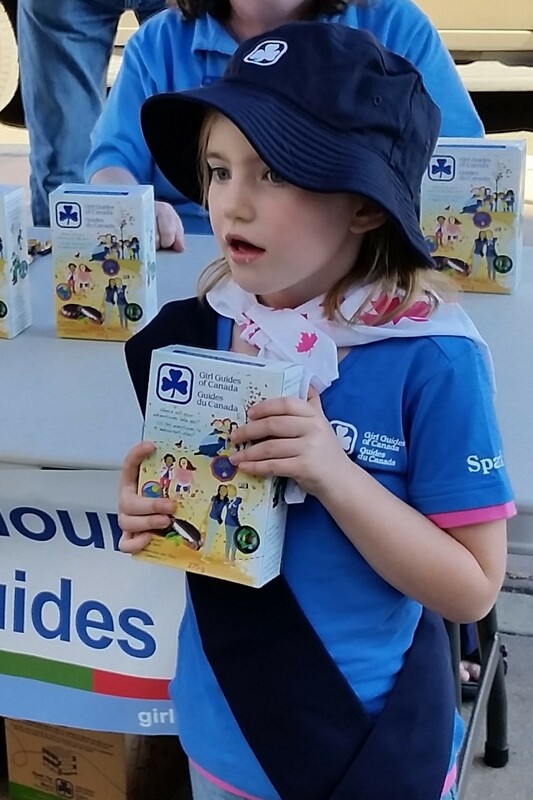 Thank you Guides for sending in these fun photos. Happy Halloween from Burnaby Mountain District! Burnaby Mountain’s newest unit, the 2nd Sparks, had their first ever enrollment ceremony today. Eight new girls were enrolled, plus one girl who was a Spark in another unit last year. Special guests, the new Burnaby Mountain District Commissioner and Deputy District Commissioner came for the event, as did several of the girls’ family members. 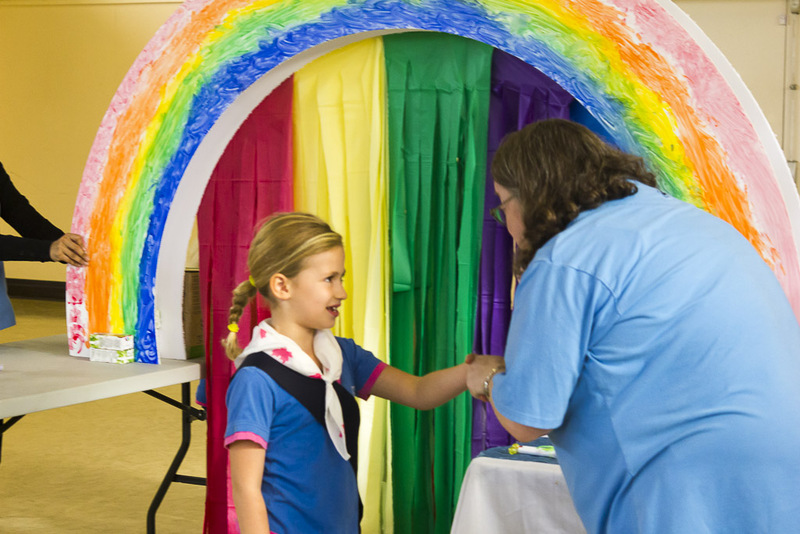 The ceremony involved the girls sliding down the rainbow, just like the girl Crystal in the Sparks ceremony. 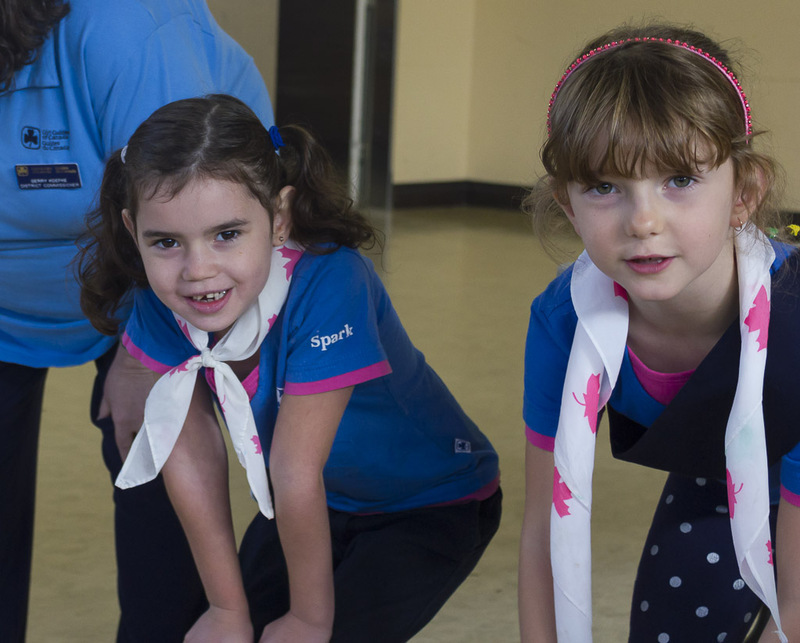 Girls felt very special as they said their promise and got their first collection of badges, including their Sparks enrollment pin. 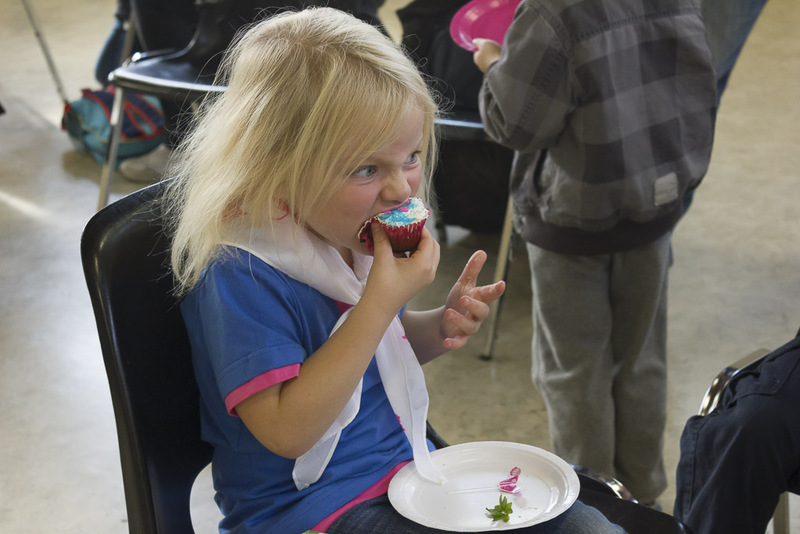 Following the ceremony, girls and their guests got to enjoy some delicious cupcakes, fruit, and juice. It truly was a merry occasion. 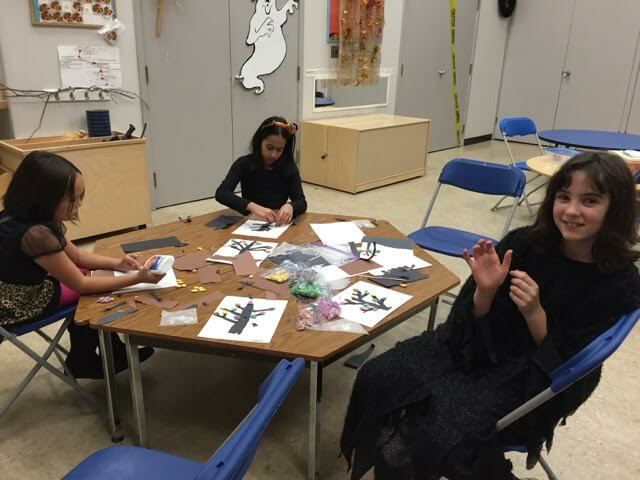 At the end of the day one dad remarked, of his daughter, “between all the rainbows, friendship, and sharing, it’s like this program was designed right around her!” It’s so great to see the girls enjoying the Sparks program. 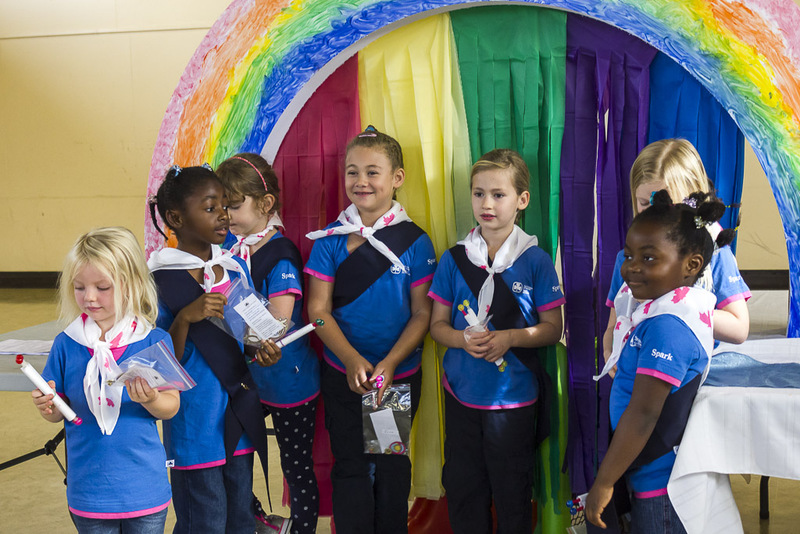 Welcome to Girl Guides, girls! It’s that time of year again! 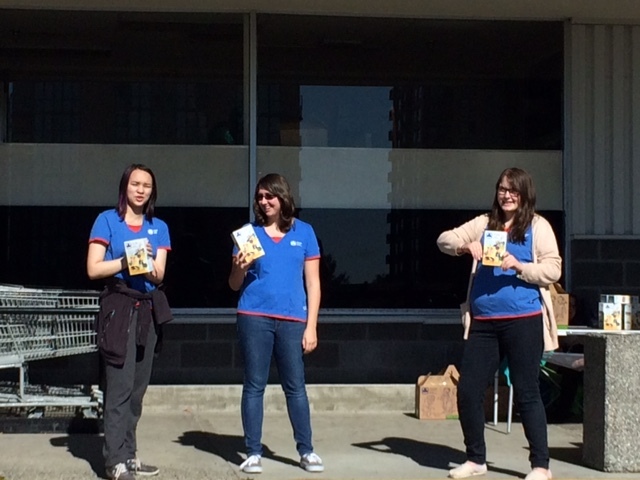 Burnaby Mountain Girl Guides were out in full force today selling delicious Chocolatey Mint Girl Guide Cookies. Girls from our various units could been seen selling at Save On Foods, Independent Grocers, Nestor’s Market, WalMart, and the Dollar Tree. It was a beautiful day to be out in the community. Girls sold lots of cookies to support their fun and engaging programming. Lots of boxes were bought to support the local food bank as well. Thank you to everyone out in the community who supported our sales!